What are Common Features of POS Software? Point of sale software helps a business function smoothly and efficiently. The software has many features and benefits that we will discuss below. POS Software allows its users to understand the cost and process a financial transaction. Some even connect it directly with inventory to tally numbers and give a real picture of the stock. POS Software has a balancing system for the convenience of those who desire it such as huge department stores and supermarkets. A wide range of fields are available for all businesses who wish to use it. However, needs are carefully met by understanding the requirements first. There are many features with thousands of versions of POS software to choose for a business, which may be ideal. By understanding the needs of a business, you will be much more effective in getting the right features in your POS Software. This is very important; otherwise, using features that don’t comply will end up being a waste of money, time and resources. The requirements for a restaurant would not apply the same to a gift shop but they could still use the same POS software. By being industry-specific, many benefits of POS software are derived, adding to the efficiency and better performance of a business. Here are some features that help businesses globally, to smooth their operations and make an impact on consumers’ lives. With consumers stocked to the elbow with products, the ease of checkout is the first thing that comes to mind. Long lines in the checkout further impact the overall efficiency. This issue can be resolved by installing POS Software at the counter to ensure speedy processing and ease in checking out. If the customer isn’t offered this, chances are that they will opt for more proactive enterprises for their consumer needs. This is a positive effect of POS software and using it wisely is most important. A POS software also helps in keeping track of stocks and informs accordingly of upcoming shortages well beforehand. A good inventory management software makes it all possible with its simple features. Big warehouses, who have to take into consideration what comes in and what goes out, can be directly informed of shortages and, thus, countered well beforehand so that no inconvenience is caused at the store. This software allow users to monitor stock levels and raise up a warning when the inventory is in critical stages. Use of POS software will help with any inventory requirements. Businesses deal with vital customer data that helps them follow up and indulge in customer engagement, informing them about new products and services. POS Software can effectively store, manage, and retrieve any sort of data about the clientele securely. It also eradicates the need to install heavy-duty CRM software for an organization, thus, being cost effective as well. It can help marketing experts aim for consumers to determine product performance evaluation so those who buy frequently are recognized and sent an appreciation email automatically. With the utilization of POS software, you get a great client relationship manager. Giant stores use this feature by replenishing diminishing stock without human intervention until delivery. This also helps a firm conduct business online. The system generates an order, complete with stating terms, conditions, and particulars of the order such as invoice number, date, artifacts, and their quantities. It gets the right material at the right time, with minimal efforts. And, better yet, it’s all done on time. This e-procurement system is part of the features of POS software, which makes it a powerful procurement specialist right where you need it. Many business owners want to be aware of the activities occurring at all times, such as sales. They want to know what the daily intake was that day, even when they are on the go. 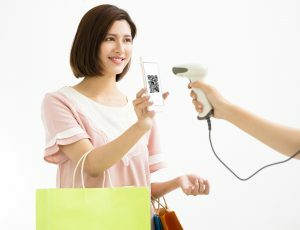 They can connect via the internet and monitor the stats themselves such as sales, inventory, time of transactions, etc. It helps them to watch over their store without being there themselves. This feature is prevalent in multiple locations, for instance, a chain of stores. It connects with many locations to view information, making it effectively convenient. This feature of POS software appeals to franchises and brands. A retail POS software enables it’s user to point out attendance, punctuality and hours worked. This feature of the software is a reporting tool that helps supervisors get vital employee details. In retail, it can record reports about product performance in previous sales and generate reports about their movement in sales. It can also provide details such as weekly, monthly, and annual sales along with hourly transactions. https://www.completecontroller.com/wp-content/uploads/cclogo_main-long-300x63.png 0 0 Complete Controller https://www.completecontroller.com/wp-content/uploads/cclogo_main-long-300x63.png Complete Controller2018-12-28 02:21:212018-12-28 12:12:54What are Common Features of POS Software? How do POS Systems help Business Accounting for Increased Efficiency?